561 Media believes in developing long term mutually beneficial relationships. As a result of this philosophy, 561 Media has formed strategic partnerships with companies that complement our line of products and services. 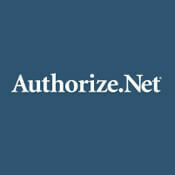 The Authorize.Net Payment Gateway can help you accept credit card and electronic check payments quickly and affordably. More than 350,000 merchants trust us for payment processing and online fraud prevention solutions. If you are looking to accept online payments Authorize.net is our recommendation.